What might've occurred between all the JP movies? Is there any "canon" explanation that explained certain events, like the creation of JP or JW? This thread could also discuss the new JP movies, like if there's a passage of time between JW and JW2/JP5. We got a few sequel video games in the 90s and of course JP The Game which came out nearly a decade ago for PC which tells a story right after the movie. The only other thing I can think of is the Chaos Effect toyline if you want to count that, if you do then Series II of the JP figures should also be counted for the first movie then. Three young adult books were written, two being sequels to the movie and one telling the adventures of the kid in the island. A few sequel video games were released. The Jurassic World viral websites explained what happened with relative detail after the events of JP/// up until JW. The Hybrids brand which included the toyline and even some book, I have one and it tells you about other hybrids. IDW released some comics around ten years ago which took place after JP /// but before JW, this was many years after JP/// so I don't count it as part of it. IDW announced last year that it would make JW comics, IIRC they mentioned they would take place after JW. Thank you for the information sdp, I'm just used to other types of canon franchises that I didn't know whether or not there was materials other than the movies that were considered "canon". I guess most of the JP official canon is just the movies with what games or comics that are in "head canon". Yeah, the franchise doesn't really have an "expanded universe" so to speak, but still you've got a few things going on. The most recent JP game was promoted as being a sequel to the original movie but of course that was more marketing than anything concrete. The viral websites for the movie were technically official so their canon is a little grey, in it they explained the clean up of the park after JP/// and even make brief mentions of JP The Game as well as the JP Adventure book "Flyers". Those aren't really "head canon" though, head canon is when you believe something happened in a fictional universe but it's just your opinion, these are more like different continuities. There's also the term FANON which refers to some aspects that are considered canon by fans even with no evidence, so basically if the whole fandom shares a single "head canon". 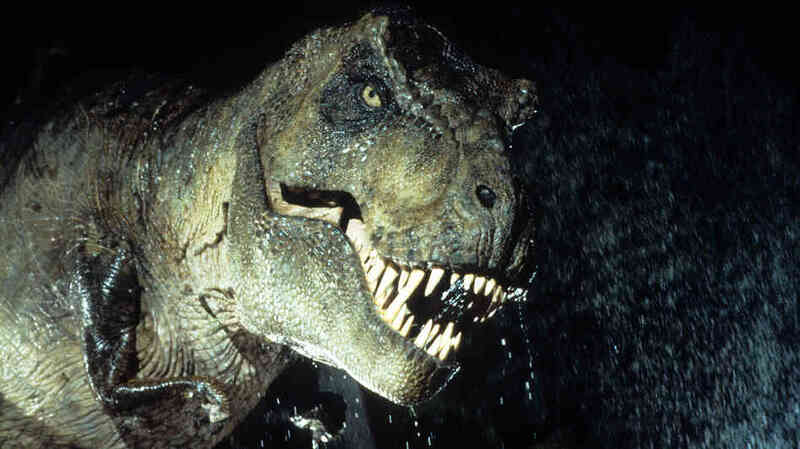 I actually plan to write about the different JP continuities and "Expanded Universe" available on my website, but I'm waiting until "Jurassic June" to publish it.